CRE Loaded contribution which would help you export easy your products into PriceRunner.com - one of the best Pay-Per-Click service. 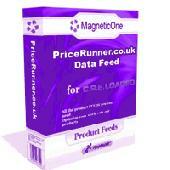 PCWin Note: CRE Loaded PriceRunner.com Data Feed 2.0 download version indexed from servers all over the world. There are inherent dangers in the use of any software available for download on the Internet. PCWin free download center makes no representations as to the content of CRE Loaded PriceRunner.com Data Feed version/build 2.0 is accurate, complete, virus free or do not infringe the rights of any third party. PCWin has not developed this software CRE Loaded PriceRunner.com Data Feed and in no way responsible for the use of the software and any damage done to your systems. You are solely responsible for adequate protection and backup of the data and equipment used in connection with using software CRE Loaded PriceRunner.com Data Feed. osCMax Cart Yahoo Stores Data Feed - osCMax Cart contribution which would help you export easy your products into Yahoo Stores pay-per-click engine. Site Map for CRE Loaded - CRE Loaded Module - Site Map for CRE Loaded - CRE Loaded Module - is very powerful and flexible module for dynamic site map generation.